We meal plan in this house. Each Sunday evening, I sit with a notepad and plan out our week. Lately, my game plan involves picking a few main dish meats that can be re-used as leftovers in a variety of ways. With just two of us, it makes it easier to buy, easier to stretch, and easier to save money as well. For example, The Complete Package recently smoked a rack of pork ribs. That night, we had a traditional barbecue feast of ribs with beans and macaroni salad. 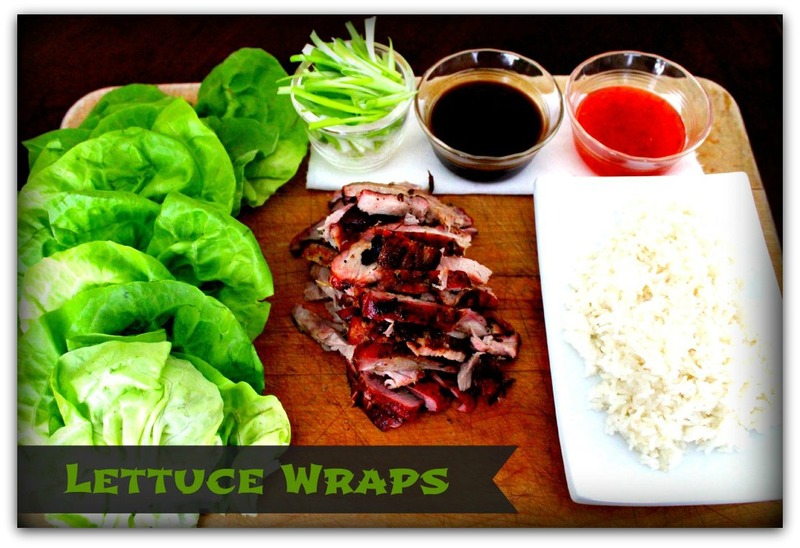 The next night we one of my favorite simple go-to meals – Asian lettuce wraps. When I say this one is easy, I’m not even kidding. Not one little bit. To serve, simply lay out a leaf or two of lettuce. Add a spoonful of steamed rice, some smoked pork, a few scallions and a drizzle of your favorite hoisin or chili sauce (or both). Roll it up and stuff it in your pie hole. BAM! So good, and ready in mere minutes. This meal confirms my favorite motto: Keep it Simple. Oh, yum! This sounds sooo good! I am pinning, and will make for sure! Jeanne, this is a great idea for repurposing. The bright flavors and meat/vegetable balance makes for tasty satisfaction, but if I can get it on the table quick, I’d say this dish is top pick! I discovered and fell in love with the flavors and ease of lettuce wraps years ago when I was looking for low carb meals. There is so much flavor and texture going on, you don’t miss the carbs. Your version with smoked meat and rice is Chinese finger food. :) Your close up photo is a beauty! Jeanne….I would love to have leftovers like this! That would require me to actually cook, though! You are inspiring me to be more organized with this beautiful dish. My go to quick meal? Unfortunately….it’s a rotisserie chicken from the local market on my way home from work! (I just love those!). Don’t apologize for a rotisserie chicken, Anne! This post is looking so beautiful ! Have a wonderful Holiday Season and stay Warm ! 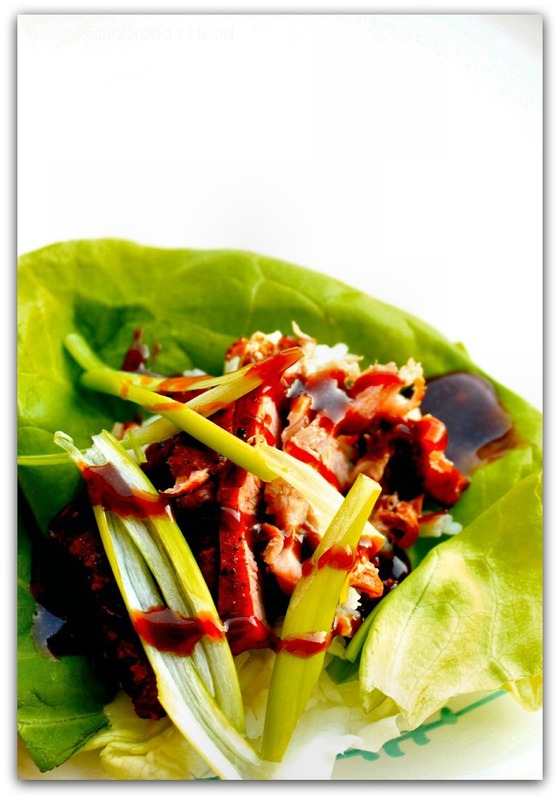 Lettuce wraps are a great use for leftover smoky meats! I tend to toss leftovers into a quesadilla and call it good. Although, I’m with Anne on the rotisserie chicken. I love those things because they’re so versatile, and I can get a couple of meals out of one of them, plus a few quarts of chicken stock. For $5, you can’t beat that with a stick.